AbtracOnLine subscriptions are based on the number of current employees or users. These users are defined as being not only current logins, but the number of current employees being managed through Abtrac, more details are here in our Terms. 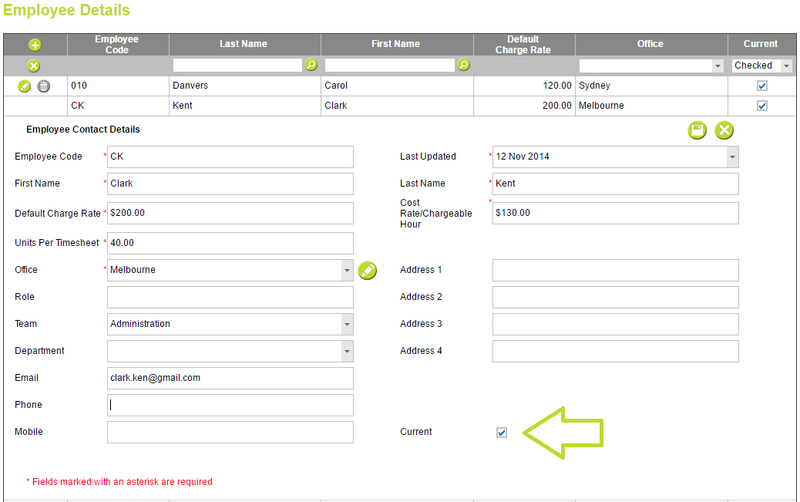 You can add or amend users from the administration screen. If your current employees exceed your licensed users in Abtrac you’ll either receive a licensing notification, or hear from the support team directly to adjust your subscription. If you don’t need extra users then you might just need to make some changes to your current employees. From Administration > Employees > choose Employee Details. For each employee you are required to enter first and last names, charge and cost rates, required timesheet units, default office, and an employee code (this is often either initials, or the same code used for payroll). You can also optionally a role, team, department and personal contact details. *Please note the email address entered against the employee record is often a personal address and not the email used as part of their login details. The employee details screen shows only current employees by default, you’ll need to amend the current filter option to view all employee records. You can mark an employee as non-current by choosing the edit record option in order to open their full record and then uncheck the current tick. Employee Logins are only available for current employees, once an employee is non-current you cannot create or amend a login for them, and they are unable to login to Abtrac. What happens to the data when an Employee is no longer current? The data isn’t purged when an employee is archived and made non-current, so you certainly don’t lose their data – however many screens and reports will only show current employees. But rest assured any outstanding time and cost not assigned to an invoice for an employee will still appear on your pre-billing reports when the employee is made non-current. Until it is assigned the outstanding work will still appear (for example) in the Unbilled Work Quick Summary, or in the Timesheet Entries reports (when Billable WIP only is selected). For employee timesheets and payments you might find you need to use the Timesheet Maintenance screen rather than the Time & Disbursements screen or other current employee reports. Choose > Bulk Edit Timesheets from Performance Report. You can view all time, for all projects, and all employees for a specific date range, and filter and export the data as required. This entry was posted in Administration Settings, Employees, Getting Started and tagged employee details, login, users by Jen. Bookmark the permalink.